Submitted Photo Pictured are donations collected by the Community Bank N.A. in Westfield for Northern Chautauqua Canine Rescue and Thrifty Kitty. Community Bank N.A. branches across New York, Pennsylvania, Vermont and Massachusetts celebrated National Good Neighbor Day this year on Sept. 28 by engaging in neighborly activities and donating to community causes. In total, Community Bank N.A. donated $55,250 to local nonprofits throughout its four-state footprint, with 35 branches across Western New York contributing $8,750 to local nonprofits of their choice. From raking leaves and washing windows to hosting bake sales and food drives, more than 90 branches joined the celebration to spread neighborly spirit. ¯ Gowanda hosted a bake sale to benefit Father Joe Porpiglia’s Walk for Gowanda Ambulance Service. 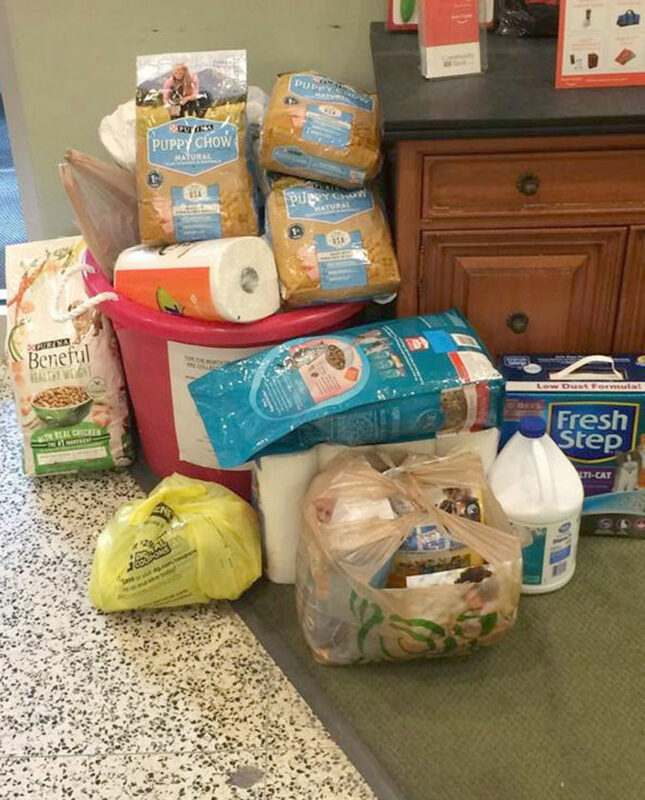 ¯ Westfield held a donation drive to benefit Northern Chautauqua Canine Rescue and Thrifty Kitty of Westfield. ¯ Cassadaga collected monetary donations throughout September for Chautauqua County Samaritan House. The branch team also held a dress-down day to raise funds to donate to the organization. National Good Neighbor Day was created in 1971 by Becky Mattson from Lakeside, Montana, and proclaimed a national day by President Jimmy Carter in 1978 to raise public awareness that good neighbors help achieve human understanding and build strong, thriving communities. It is celebrated annually on Sept. 28 as a day of gratitude and community building. For more information on the bank, visit cbnanews.com.